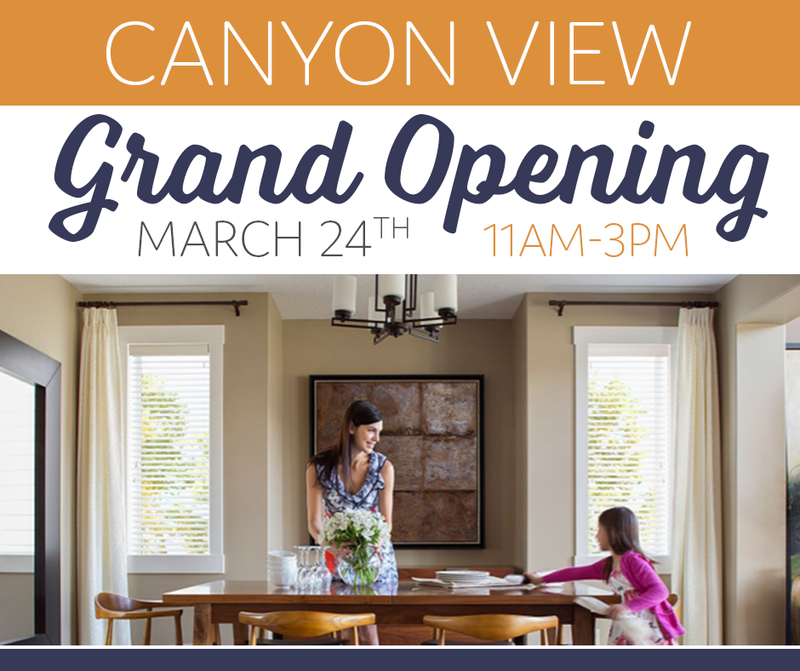 Start spring in Whitney Ranch style and join us on March 24th for the Grand Opening celebration of Canyon View, a collection of beautiful brand-new homes by The New Home Company. From 11 a.m. to 3 p.m., tour the beautiful model homes, enjoy tasty food, and ‘app’ your way to a $500 Amazon gift card! All community models will be open until 5 p.m. Let us know you’re coming and RSVP for our Facebook event: https://www.facebook.com/events/193742934721727/. It wouldn’t be a Whitney Ranch party without a fun contest! We gave our community app a makeover and think you’ll love it. Download it NOW for a chance to win and receive even more entries! The more you use the app, the more opportunities you have to win. downloading the app for free HERE and sharing the Canyon View Grand Opening event from the app to your Facebook page or Twitter feed. Receive 1 entry for every share (Max 10 entries). 2. Attend the Grand Opening, download the app, and use the app’s check-in feature to RECEIVE 10 ENTRIES. Designed and built by The New Home Company, Canyon View offers beautiful homesites and generous one & two-story floorplans with up to six bedrooms ranging from 2,527 to 3,493 square feet. Designed for families looking for the ease and comfort of more living space, Canyon View homes are the hallmark of casual luxury, featuring spacious great rooms and chef’s kitchens, gorgeous master suites, and an impressive variety of room options to live exactly the way you want, from lofts, bonus and club rooms, to wine rooms and multi-generational suites. There’s a reason it’s called Canyon View, and homes will feature unmatched views of the surrounding hillside. Homeowners will enjoy lovely California rooms and outdoor living spaces, perfect for relaxing weekends of casual entertaining, gardening, and soaking up the sunshine. Canyon View homeowners will have access to the full Whitney Ranch lifestyle, including exclusive resident-only events year round, neighborhood parks, excellent schools, an expansive trail system, and the beloved Ranch House with its gorgeous pool, classes, and social opportunities. Check out our app to learn more about Canyon View, discover why so many families love Whitney Ranch, and enter the contest! Families from all around the world choose to make a home in Whitney Ranch. Located in Rocklin, a city rated a premier place to live, Whitney Ranch offers miles of trails and acres of parks and an open space backdrop. Our vibrant neighborhoods are built by industry-leading homebuilders, and they are served by the top-rated Rocklin Unified School District. The Ranch House, the social headquarters at the heart of our community, is a neighborly hub for events, clubs, fitness classes, gatherings and more alongside a resort-style pool. For more information about our community, please visit www.whitneyranchca.com.